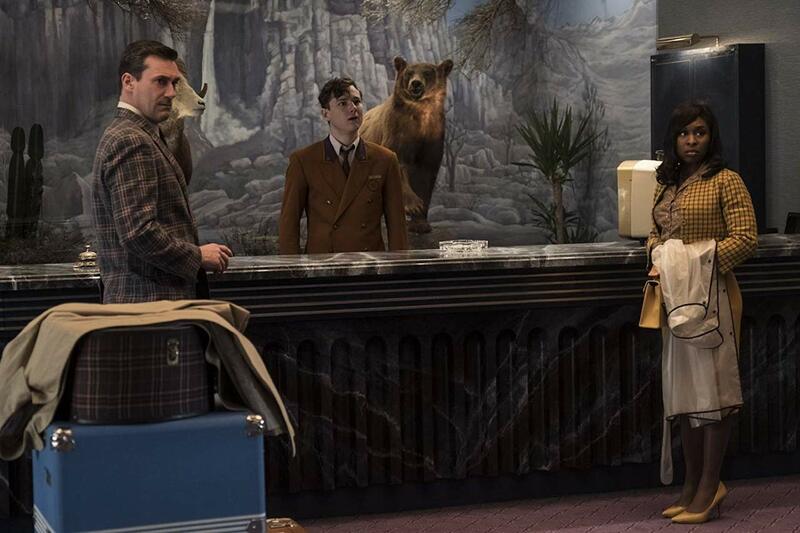 We meet the folks checking into the eccentric place by the name of the El Royale as the odd duck clerk asks them an important question. In which state would they like to book a room? This joint drawn up in this quirky piece written and directed by Drew Godard, you see, sits on the line that divides California and Nevada. And it embodies much of both, we are led to believe from the welcome speech and then shown by the man who made his mark with the TV series Buffy the Vampire Slayer and Lost. Sometimes this 141-minute thriller/drama/horror/musical/comedy doesn’t quite know what it is, for sure. It’s set in 1969. The soundtrack thusly is super boss, with one important character a backup singer set off to make her place with a solo career as a bonus. Yeah, Cynthia Erivo will break out in song. There’s a cult involved, eventually, led by a charismatic guy played by Chris Hemsworth who unfortunately also has many of the killer instincts one equates to Charles Manson. Investigators, check. Criminals, check. Priest, check. Folks you aren’t quite sure wear what label, check, check, check. Unfortunately, the plot twists are dug up at a two-hour-plus rate. 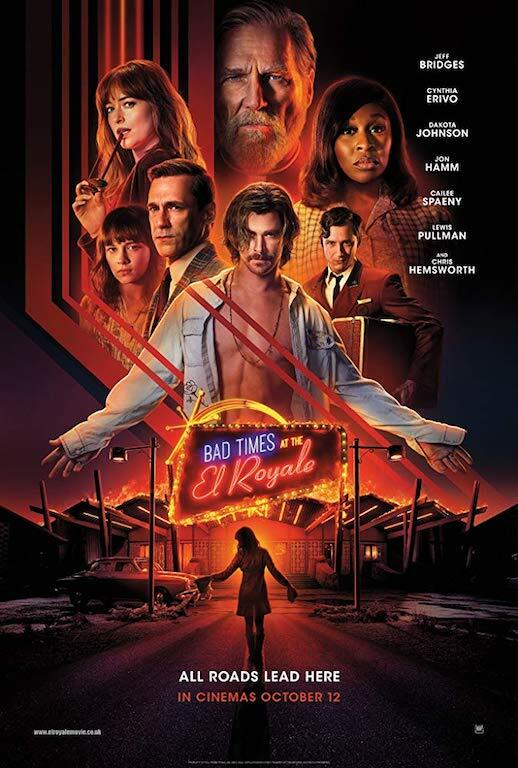 Fortunately, with Dakota Johnson, Jon Hamm, Jeff Bridges and Lewis Pullman pulling the story along with their good work, the movie is worth a spin on the DVD player. Just get your stomach and mind ready for the violent mayhem that comes along with every scene once the plot passes the point of no return. ← What would you add to your list? You might be pulled in, PK. It doesn’t grab me as strongly as some of your other recommendations MBM. Not everything is for everybody, MBC.